Football fans take note: The Littlest Lamb, a non-profit organization building an orphanage in Egypt, is honoring legendary soccer star and social activist, Pelé, at their annual fundraising gala on Tuesday, November 25, 2008 at The Battery Gardens in downtown Manhattan. 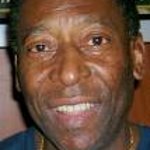 In addition to the major role he plays in the world of sports, Edson Arantes do Nascimento, better known by his nickname Pelé, is a social activist, serving as a voice for the poor, and specifically committed to focusing his energy on improving the conditions of children living in poverty. The Littlest Lamb is a U.S. based non-profit organization dedicated to providing a safe, loving and supportive home for children who have lost one or both parents in Egypt. Their vision is simple – provide orphaned children with a good home (both structurally and emotionally), an education, and the proper attention, love and care and prepare them to be leaders of generations to come. They believe that by giving our future children these basic tools, they will have the chance to rise above and break the vicious cycle of poverty and to become contributing members of society. Very limited seating for this highly exclusive event at $500 a plate which includes fine food and drink, traditional, live Egyptian music and a silent auction. Access to a private cocktail hour with Pelé will be included with Platinum level donations. For more information, to purchase tickets or to find out how to help, please visit www.thelittlestlamb.org.